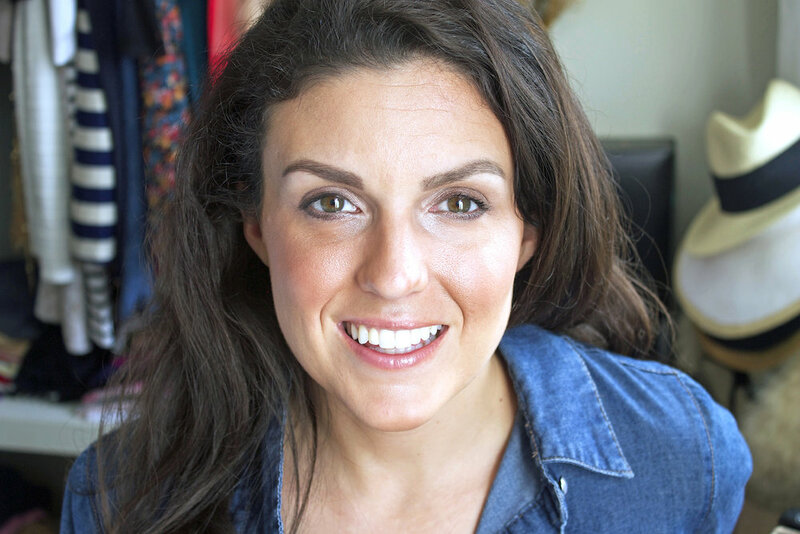 First, you'll want to figure out what the proper shape of your eyebrows should be. 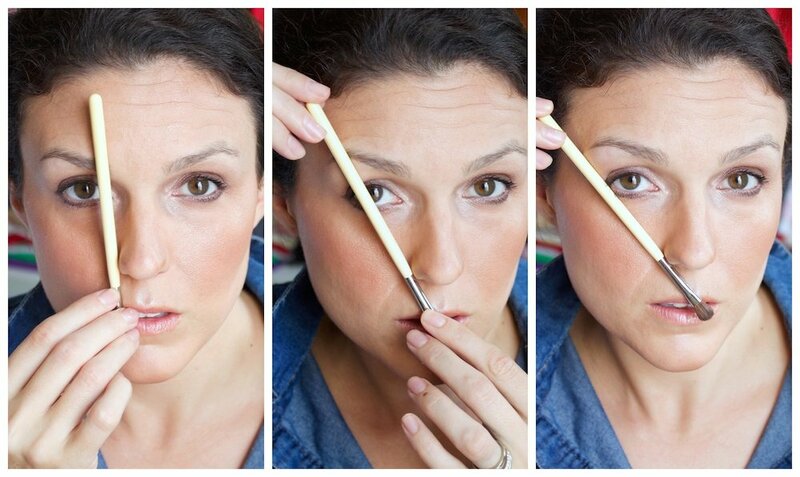 Using your eyebrow brush handle as a guide, line the brush straight up against your nose (like the first picture). 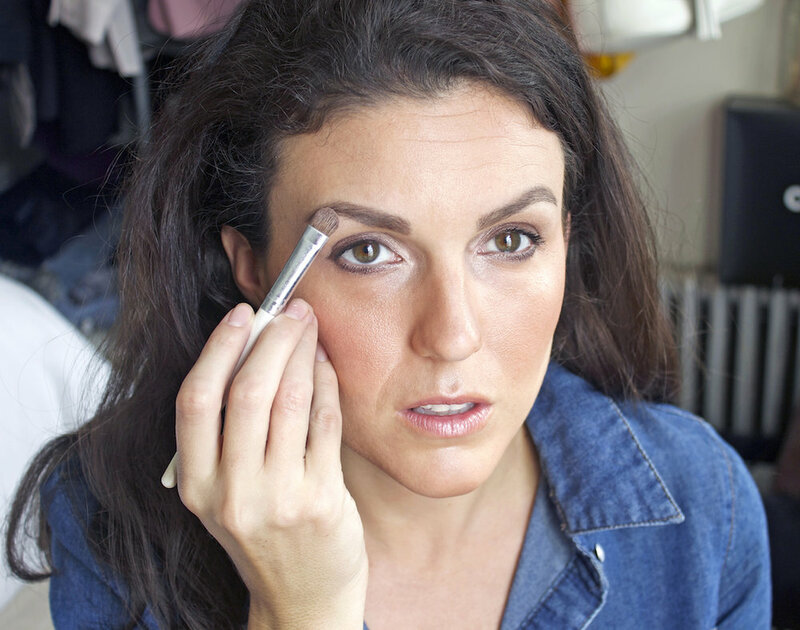 The end of your eyebrow should line up with the handle so anything to the side opposite your brow should be plucked. 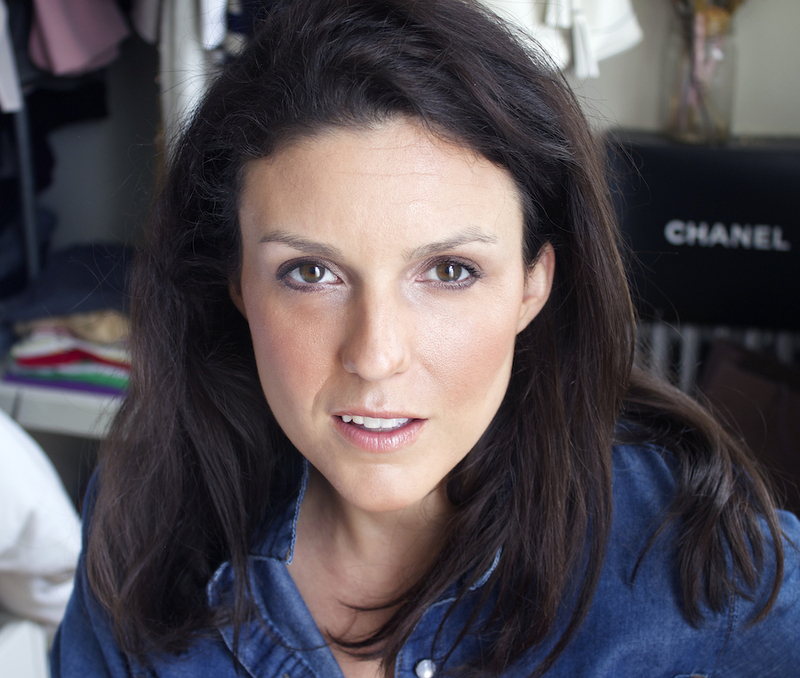 To figure out where the highest part of your brow should be, hold the brush diagonally from your nose to your eyebrow across the farthest side of your retina. Your arch should be wherever the brush hits (see the second picture). 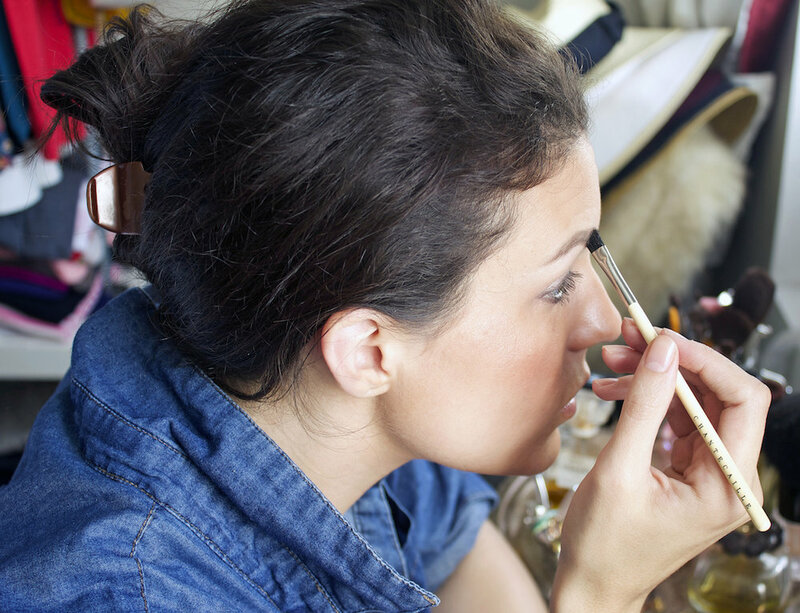 To determine where the end of your eyebrow should extend to, keep your brush lined up with your nose but this time move your brush to the farthest corner of your eye. 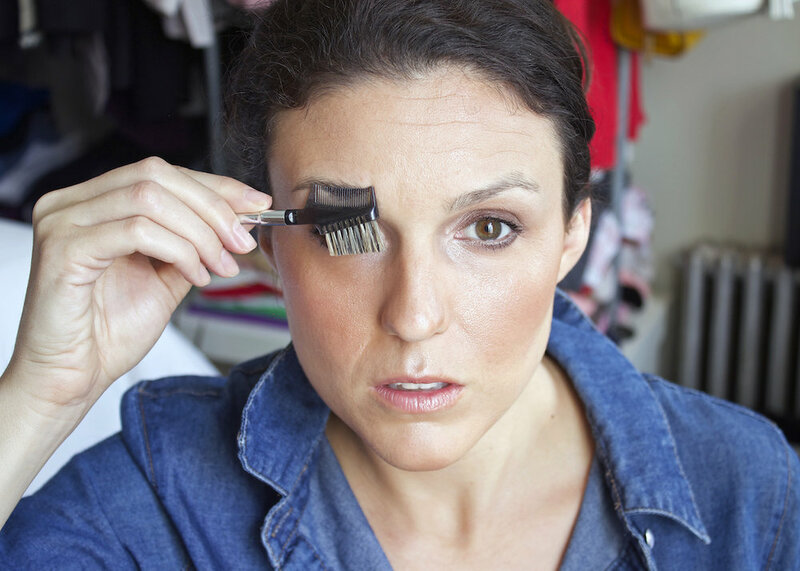 Your eyebrow should extend out to the point at which the brush hits (as in the third picture). After you determine the shape your eyebrows should be, use the eyebrow brush to gently brush them from the center towards the outer corner. 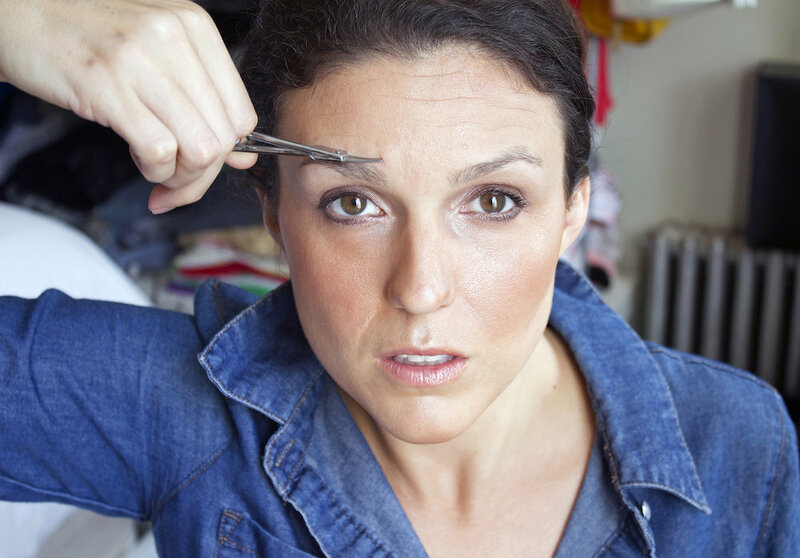 Pluck any stray hairs using your tweezers. Next, use the comb side of the brush to comb your eyebrows up and out. 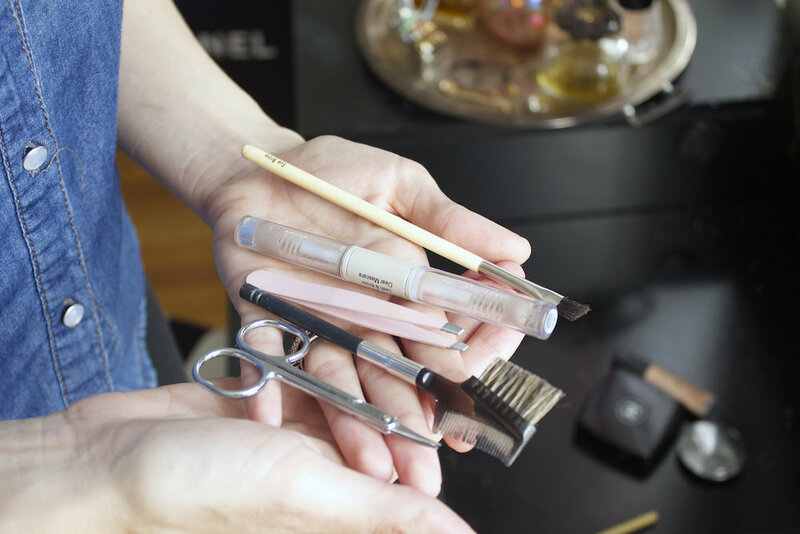 Use the scissors to trim any hairs that extend pass the brow line. I usually only do a trimming once a week, unless it is needed. 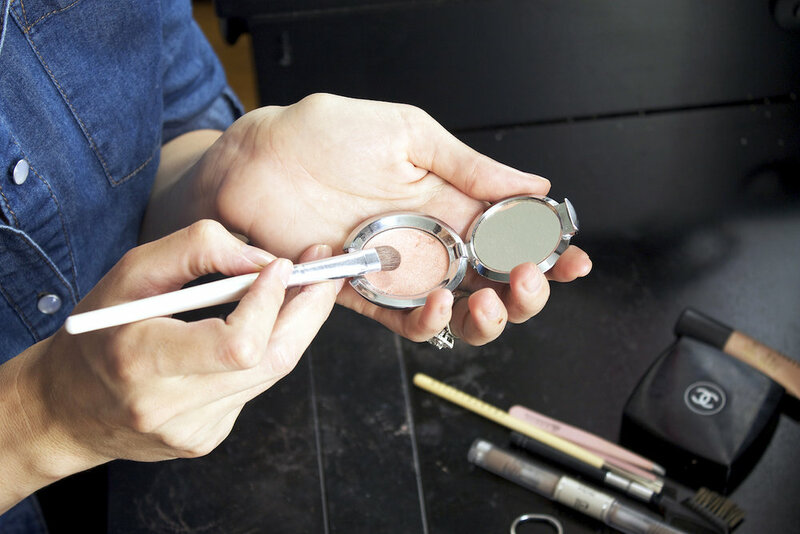 Add on a coat of clear mascara (or brow gel) to lock in the color and keep your brows in place. To finish the look, I like to add a swipe of a shimmery eye shadow right underneath my brow to highlight the area and really make my eyes and brows pop. Here I'm using Chantecaille in "Marigold". In this picture you can see the dramatic difference between the eyebrow that has been done (left) and the one that has not (right). To maintain my eyebrows, I usually follow the plucking and trimming routine once a week, of course plucking out stray hairs as need be. I fill my brows in with the color and gel any time I do my makeup.